Today, I would like to draw your kind attention towards an important topic which relates to android devices. As you know better that all of us or most of us, use patterns, PIN or Passwords to lock their device, so that any one could not see their private stuff. Some times, you forget your Pattern, PIN or Password, and at that time, it is very difficult for you to open your device. When there is an emergency and you want to use your mobile and, at that time if you don;t know what was your pattern, PIN or password, then it could be the crucial situation for you. When you enter wrong Pattern, PIN or Password more then its predetermined time, your device will be blocked. There are many ways to recover or by-pass your device password. 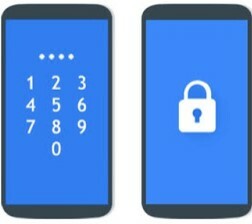 Today, in this page, I am going to share with you about how to by-pass android PIN, Pattern or Password without losing the data on the device. How to by-pass android PIN, Pattern or Password without losing the data on the device. Download Aroma File Manager and copy it to your SD card, then insert the SD card into your locked android smart phone or tablet. Open stock Recovery Mode. You can open stock recovery mode by re-booting your device as well as pressing power button and volume down key. Various phones have different methods to open stock recovery mode. In case of facing any type of errors, search on Google. After running your device in stock recovery mode, use volume up volume down key to scroll UP and Down. You can select any option using middle button. Now, click on the "Install Zip from SD card" option and give the path to install aroma file manager from your SD card. When aroma file is successfully installed, it will open in recovery mode. Navigate the setting from aroma file manager >>go to the button and click on the option "automount all the devices on start" and then exit. Go to "Install Zip from SD card" option again, and give the path to install aroma file manager from your SD card. After installing, aroma file manager, open it again. Navigate to data folder >> system folder and find "gesture.key" or "password key" for pattern lock or password respectively. Delete that one file and then exit from aroma file manager and reboot your android device. After rebooting, you will observe that pattern lock or password lock is there and not removed, but don;t worry, draw any pattern and you will open your android device. It is pertinent to mention that you must your drawn patter or password because it will be saved for feature reference. If you wish to get this powerful tool to unlock Pattern, PIN and Password, then just follow the link shared below and tap the link to download the updated and latest setup of this amazing tool. The link shared below is trustable and well working. This link is also free of dangerous viruses, as we always provide the official link for our honorable visitors so that they could maintain it easily. The main task for you to do is just go to the link and download this unique setup for your android smart phone or tablet for unlocking of Pattern, PIN and Password. The download process may take some time so be patient and wait for its proper download.